We’re using this International Coffee Day to celebrate the women in coffee's supply chain. We know that in every part of the world, from North America to East Africa, from household gardens to corporate boardrooms, when women thrive, the structures around them thrive: families, communities, businesses. We also know that coffee is under threat—from climate change, global markets and urbanization. But today we see women succeeding in every aspect of this centuries-old industry, and data proves that women create ripple effects of success and opportunity around them—which makes us extra hopeful for the future of coffee. So while we’re grateful for and say thank you to every single one of our customers, every partner at origin and each and every team member here at InterAmerican (a company that today is 75 percent women), on this special day, we’re putting our hands together for the strength and grace and wit and brilliance of the women across the world who make coffee possible—and are growing along with it! We asked women to tell us how coffee is creating their paths forward, or what makes them proud to work in coffee. In addition to the quotes and photos above, we received some longer submissions that we couldn’t possibly keep to ourselves. To everyone who submitted, our very warmest and sincerest thanks. And to everyone reading this, we’re grateful to have you in our coffee world. Happy International Coffee Day! 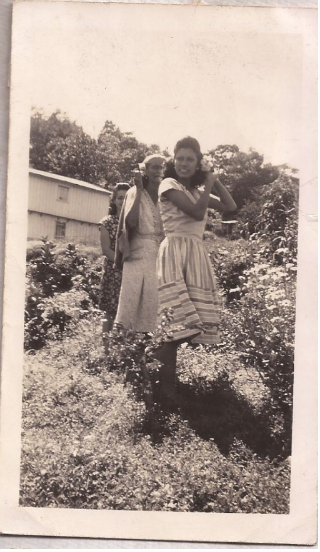 Generations of women from Panama's Hortigal Estate. “Coffee gave me a path and a passion that I desperately needed after college basketball, when I didn’t think I could love anything more. 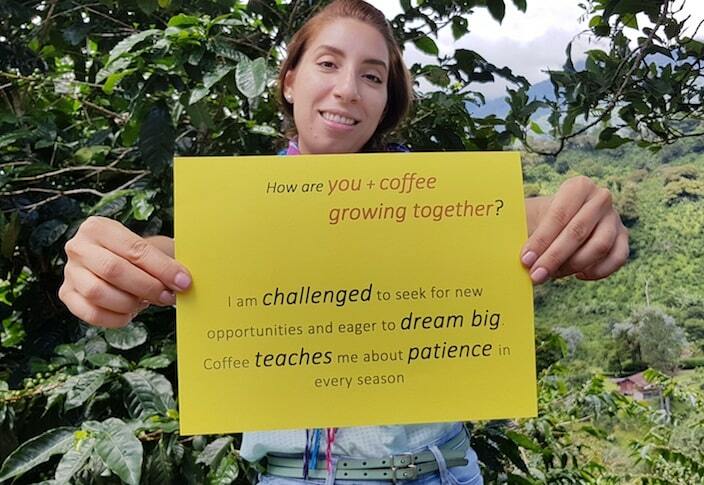 I started working at InterAmerican when I was 23, and over the last eight years, coffee has grown with me as a woman, as a professional and as a lover of all things coffee. I’m so proud to work in an industry that connects me across borders with people of all walks of life. Everyone I’ve met in coffee loves it and lives it, which matches my soul and is why I have my passion behind it." “When I think about women in coffee, I can’t help but reflect on my personal experience. When I started (which was relatively recently), most of the classes I went to were taught by men, and I regularly had the experience (shared by many women and minority status folks) of being glanced or talked over by industry ‘peers.’ Having spent eight years in coffee, it has been inspiring to see women rise up into positions of leadership and fame, winning competitions, leading teams and companies, and starting grassroots movements. But what has been most impactful for me are those little moments where I felt supported by the women in my personal life. Working in an office of entirely female staff during major life changes. Meeting fellow pregnant volunteers at SCA. Chatting with industry friends while pumping in the ladies’ lounge at conferences. The women in my coffee life are powerful, competitive, vulnerable, brilliant and inspiring. Those who I have had the pleasure to work for have been mentors and advocates. Those I have worked alongside have taught me how to push myself and have lead through graceful example. “I used to work in childcare. After I adopted my two children, I stopped working outside my home and did in-home childcare for a couple of years so that my kids and I could focus on bonding. When the time came, I was really nervous about re-entering the traditional workforce. 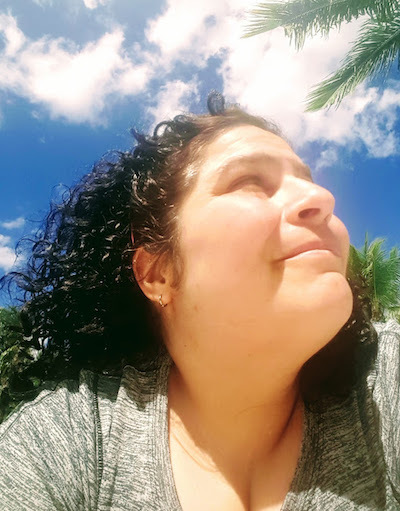 I didn’t have much confidence, and even though I had learned a lot from my time with my children, I was afraid that employers wouldn’t feel like I had done anything interesting or of value. I interviewed for a barista position at Blue State Coffee in December 2011. It was a group interview, but only one other person was interviewing. He sounded really impressive to me. In fact, he’d traveled to origin and gone to coffee farms, and I had never left the country. I didn’t even have food service experience. As a mom, fresh coffee just meant warm coffee to me. I went home feeling like the interview had gone terribly, but they ended up asking me to come back for a working interview. The working interview was nerve-wracking. The whole time, I felt like at 4’11.5” I was too short for the physical aspects of the work and definitely not cool enough for the job. I was so self-conscious, but after the working interview, they hired me. My dad immigrated to this country when he was 11 years old. The way work had been modeled to me by him was as a matter of pride, sweat and loyalty. I learned through him to work hard and serve your company. It took me a long time to feel like I was in my element doing this work. I didn’t instantly think, ‘Ah! This fits like a glove.’ But I worked hard and was always willing to do what was asked and have a good attitude about it, so in actuality not that much time passed before I was given more responsibilities. I became a supervisor, and was asked to take responsibility for catering at that cafe, and then I became a manager of the company’s busiest cafe at the time, all within a year. I always felt like just as I was getting good at one job, I was moving up to the next thing. I never felt confident that I was ready, but Blue State Coffee senior management took a chance on me, so I tried to do my best for the company. Gina Gerfao, coffee director at Blue State Coffee. While I was a manager, the Coffee Director at the time asked me about how I could see myself continuing to develop within the company. I thought about what I was good at, what I was passionate about and what I wanted to learn. I told him I loved working with people, and I felt passionate about the way coffee can build community, but that I really wanted to learn to fix our equipment. After about a year-and-a-half working as a manager, I was asked to train with the Coffee Director so that I could take over his position because he was going to be leaving the company due to a long-distance move. He and Blue State Coffee’s CEO, Carolyn Greenspan, told me that they chose me for this position partly because of my passion for coffee. It is true that I had become passionate about coffee, but I didn’t feel confident about my knowledge. Even though I had come a long way from my ‘warm coffee is fresh coffee’ beginnings, I knew I would have a lot to learn. I took full advantage of my six months of training for Coffee Director. I did everything I could to learn from the outgoing Coffee Director not only about fixing equipment but about coffee. I especially worked on my palette for tasting, and since I was going to be supervising the roaster, I also learned everything I could about the roasting process. Looking back, I am really proud of the career that I have carved out for myself. I read my old emails now and understand why I was chosen for greater and greater responsibility. I have taken on every challenge I have faced with courage and a can-do attitude. « NYC Tonight: Please Join Us!